STEP 1—THE GOSPEL. It started with evangelism. One of the pastors, supported by your gifts to World Challenge, literally took his handwritten notes from a training seminar and in several months established three different community groups to start door-to-door evangelism. The outreach has led to a prayer group of 24 moms who daily pray for their children and the work of holistic transformation in their community. STEP 2—SOCIAL TRANSFORMATION. The fruit of the Holy Spirit—spread through evangelism and prayer—includes practical love. In communities across Cuba, basic physical needs are also being met within the community by neighbors loving neighbors in Jesus’ name. For example, a businessman who owns several restaurants saw how Christians were helping the poor in the community. He decided to donate food to the relief work and invited the workers to his house. They met his wife and made such an impression that she started attending their church. She is now a Christian, and he has been attending church too! World Challenge is dedicated to investing in the education and empowerment of these leaders as they continue to share the gospel and meet practical needs in the community. We are also committed to equipping and resourcing their teams so that their work can have a broader, deeper impact throughout the nation of Cuba. 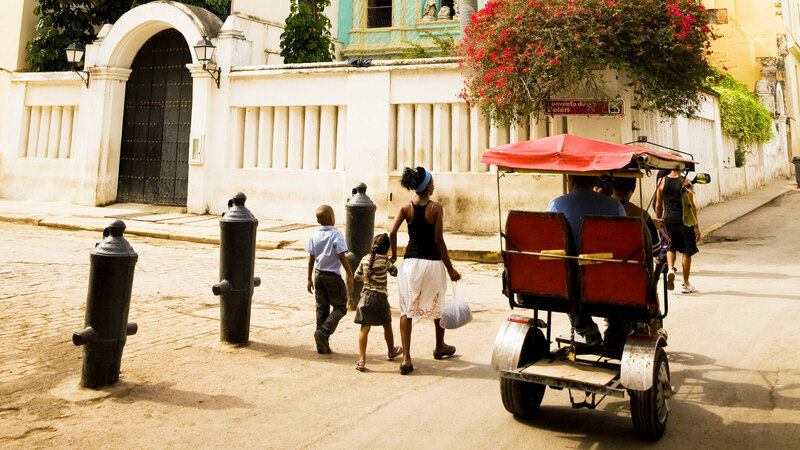 Your prayers and gifts will have a direct impact on Cuba as the seeds are planted. Please pray and give as the Lord directs.